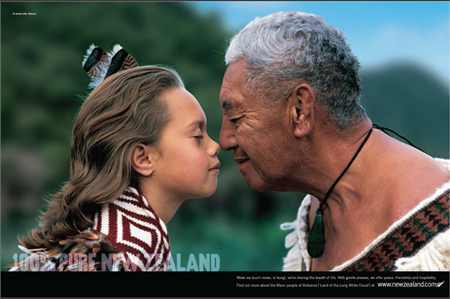 New Zealand may be the most admired tourism destination brand in the world by its competitors (according to research undertaken amongst UNWTO members by Yellow Railroad in 2009), but not many people are aware that the idea behind the “100% Pure” campaign started life not as a destination brand, but as a place branding strategy. And it is still one of the best exemplars of place branding in the world. So how did it start and are there lessons for other destinations? A worldwide reputation for being “100% Pure”, “Middle Earth”, and the world capital of adrenalin-fuelled adventure tourism has propelled New Zealand into the tourism stratosphere. Not bad for a country that, until the 1980s, was widely seen as a rather old-fashioned, remote place, full of green hills, sheep and aggressive Maori warriors, to which people emigrated, but not as a significant tourism destination. New Zealand was forced to implement economic reform in the 1980s as a result of changing global economic conditions. Significantly, this included the loss of its preferred trading status with Britain, on which it relied for a large proportion of its export market, following Britain’s entry into the European Economic Community. A country located at the other end of the world from its former main export markets had to think radically to have a chance of competing on a fundamentally different world economic stage. New Zealand’s exporters – particularly in agriculture and food produce – recognised the need to develop a strong brand to promote a reputation for quality, if they were to have a chance to compete with countries offering cheaper produce, whose proximity to their markets meant lower distribution costs. They also recognised the value of New Zealand’s clean, natural environment as a brand asset. Consequently, the New Zealand Way was born, driven by the private sector, but as a partnership between the private and public sectors. Its aim was to reposition New Zealand’s international image for quality goods – particularly natural produce – sport and tourism. A focus on the natural environment as New Zealand’s core proposition ran through everything from agricultural produce and tourism to the way people thought and behaved, thereby endowing New Zealand produce with a premium perception. New Zealand is not unique in having a commitment to an unspoilt natural environment and quality produce. But it has successfully managed to capture the world’s imagination with its consistent branding that has, for many years, put natural values firmly at its core. Clear values were articulated, which transcended the main sectors of natural produce, sport and tourism. These included: quality and excellence; achievement; environmental responsibility; honesty, integrity and openness; cultural diversity. These were refreshed about ten years later to: new Pacific nation; entrepreneurial spirit; globally connected; resourceful; space and openness. As the environmental message was weaved into the country’s tourism effort, stories were created around the landscape, the people, adventure and culture. The positioning was contemporary and creative, spirited and free. These stories were set against the backdrop of New Zealand’s stunning natural landscape, which gave energy to the scenery and repositioned the image of the country from boring and non-descript to vibrant and dynamic – ultimately leading to its unofficial status as the adventure capital of the world and “100% Pure”. Interestingly, although the initial drive had come from the private sector and primarily agricultural producers, the tourism authorities took it to the next level. Consumer protection legislation in countries such as Germany and the USA prevented New Zealand from claiming its products were “100% Pure”. But tourism could get away with this, just as Costa Rica has for years with its tourism slogan “No Artificial Ingredients”. The transformational growth in New Zealand tourism was largely youth-driven. The boom in youth travel, and particularly “gap year” tourism by young British people taking a year out to travel before going to university, created a demand for outdoor adventure products, which New Zealand rapidly filled. Also significant was a “can-do” attitude and an innovative approach to developing outdoor adventure products and extreme sports (such as bungee-jumping, white water rafting, zorbing, jet-boating and other aerial, water and land-based activities). Coupled with more traditional adventure activities, such as hiking and skiing and the marketing of iconic routes, such as the Milford Track, a critical mass of adventure opportunities emerged in New Zealand aimed at a much younger market than previously. And, in a small country that is aware of the precarious economic position caused by its remoteness, there is probably a much greater will to work together and make things happen. What western governments call “joined-up thinking” and “partnership” probably comes as second nature to Kiwis. It is no coincidence that the New Zealand government intervened recently to persuade Warner Brothers to film the next series of Lord of the Rings in New Zealand. The first series, which was filmed in New Zealand, captured the popular imagination around the world. New Zealand provided the requisite awe-inspiring scenic backdrop for “Middle Earth”. This maintained the momentum that New Zealand had already developed as a destination. Significantly major New Zealand partners threw considerable weight behind high profile destination promotions linked to the movies: Air New Zealand featured itself as “the airline to Middle Earth”, and Wellington Airport positioned itself as the gateway to Middle Earth, with a huge figure of one of the central characters, Gollum, towering over the airline terminal. The initial drive to transform New Zealand’s image may have come from non-tourism companies in the private sector; but the subsequent level of government understanding of national brand image, commitment to tourism, and cross-sectoral partnership of the sort other nations can only dream about, have been critical to New Zealand’s success. To use a football analogy, New Zealand propelled itself from the third division to the one to beat at the top of the Premiership. “New Zealand has undoubtedly benefited from vigorous, well-coordinated and unusually thoughtful promotional campaigns for its products, tourism and inward investment offerings (under the single banner of 100% Pure New Zealand). Some countries just get it! There is nothing ‘pure’ about New Zealand. It’s like the slum area of Los Angeles. The houses are the ugliest most uninspired designed homes on the planet. A drive through every city in the country threatens to bring on a case of nervous breakdown – the houses seem to be all the same style (wooden, Californian 1960’s bungalow’s with tin roofs). I hate! New Zealand houses. Of course the few better suburbs have more varied looking homes of a better quality, but they are hideously overpriced. The clean green image is a sham. The whole country has become a huge dairy farm where animal effluent is hosed untreated into all of the major rivers causing algae infestation that kills all river life. As well as this catastrophe, the fertilizers and sprays used on the land poisons the waterways throughout the country. The young people are heavily into the drug culture because, despite reasonably high levels of educational attainment (Maori are the exception – they are raised in drug houses and tend to end up in a life of crime – Maori have the highest incarceration rate in the country) they often cannot find jobs. Those who leave the country are the most fortunate as they escape the high unemployment rate amongst youth as well as the risk of committing suicide – New Zealand’s youth suicide rate is the highest in the world. Think carefully before deciding to come to New Zealand to live… All of the official garbage the different government funded agencies taut about the country are lies. Be very aware! Thank you for your input. The aim of this article however was not to underestimate the important issues that you raise, but to examine several factors and processes of destination brand building in the case of New Zealand as components of a systematic effort to enhance the country’s image worldwide. Undoubtedly, land conservation and water quality are as much important as the well-being of people of any age and ethnicity, so it is encouraging that institutions such as the Ministry for the Environment along with other ministries and voluntary organizations do monitor and devote resources to dealing with these issues. In the context of this article, however, it is necessary to remember the argument made by Simon Anholt, who has underlined how difficult, if not impossible, it is for national governments to build favourable images of their countries merely by using the techniques of marketing communication. That is actually a significant argument in considering brand building for tourism purposes. Whereas the development of a destination brand incorporates a series of distinctive characteristics that make a country look much more attractive in the eyes of potential visitors, nation branding involves a series of place making strategies that will make a country look more attractive in the eyes of various groups such as potential residents, investors, students, and tourists. For instance, Colombia has achieved to establish the brand of an exotic tourism destination, but it is still questionable whether similar perceptions are shared among other target groups. In any case, and in relation to your own comments, a vital component of the brand development process is the stakeholder consultation phase which allows to close the gap between consumers & stakeholder perceptions about the destination. Please feel free to have a look at our relevant presentation on Destination Branding Workshop “Creating a Place Brand”, where specifically slide 14 showcases the steps of the branding process. There is surely an increasing need for destinations to carefully manage visitor expectations and adopt transparent marketing methods, which is exactly why your concerns and other similar ones must be part of the agenda of brand building in New Zealand.